Important tips to making quick volleyball plays. When we see an athlete and think, Wow, they're quick, most often what we are referring to is their ability to rapidly change directions. This quickness the athlete possesses isn't the ability to move arms and legs rapidly, it's more about a number of athletic qualities such as REACTION SPEED, STRENGTH, STABILITY, MOBILITY, and POWER. The following are key athletic qualities that make up quick athletic movements. The secret to being quick at changing direction is knowing when to do it. An athlete must sense (see, hear, feel) his opponent and be able to translate this sense to action in as little time as possible. Anticipation is a strategy used by athletes to reduce the time they take to respond to a stimulus. For example, a skilled libero has learned to detect certain cues early in the hitters approach and armswing that predicts the potential type of spike. This means the defensive player can start to position himself or herself earlier than usual and thus has more time to get in position to make a dig. It may only be a split-second in time, but in volleyball, this spit-second can make all the difference. Anticipation isn't just for reacting quickly to your opponent. Anticipation skills are also important for reacting to teammates. For example, an attacker that is good at reading the setter will more easily get in position to hit. A setter that is good at reading teammates will get in position faster to set. Developing anticipation skills takes practice. The key to making the play is getting in position. And the better you anticipate, the more often you'll be in good position tomake the play. The next part of changing direction is decelerating the body. This type of strength is often referred to as eccentric strength. To be strong eccentrically, an athlete must be strong in the muscles and stable in the joints to absorb the force. The stronger and more stable the athlete, the more efficiently he will absorb this force. Your volleyball strength and conditioning workouts should include a variety of exercises that strengthen your legs eccentrically. Also, increasing strength and stability will also help prevent injuries. Non-contact injuries to joints occur when an athlete is creating more force than their body can absorb. Research shows that if you cannot efficiently stabilize your body and joints, then you cannot generate as much force. If you have ever played sand volleyball, I'm sure you have noticed how difficult it can be to perform basic skills such as passing, setting, and hitting. The sand provides an unstable surface making basic volleyball skills unusually difficult to execute. To be successful in beach volleyball, athletes need a strong stable core. When training to improve stability, think of "getting rid of unwanted movement". Single leg exercises such as One-leg RDL's and One-leg squats are examples of exercises that work balance and stability. Exercises that train stability are critical for the efficient transfer of energy during hitting, blocking, and other explosive movements in volleyball. A strong stable core isn't just important for beach volleyball. Indoor volleyball players that have a strong core will move on defense and dig much easier than other players. A strong core allows for energy to transfer from the ground up helping attackers approach faster, jump higher, and spike harder. An athlete that has good mobility is an athlete that is good at getting in a position to recreate force. A more mobile athlete will much more naturally end up in the proper athletic positions. This allows for more athletic change of direction movements without wasting time by having to shift weight. No doubt you've notice volleyball teams warm up at tournaments doing a series of dynamic stretches. Dynamic flexibility exercises are important for warming up athletes, challenging range of motion, and preparing muscles for explosive movements. Waken your nervous system by performing dynamic movements that mimic the common movement patterns in volleyball. Multi-directional movements such as forward and sideways lunge walking are ideal for volleyball. Dynamic movements aren't just for warm up. Dynamic exercises can be used daily to teach or reinforce proper volleyball movement patterns. The final component of changing direction is reapplying force in the new desired direction. A more powerful athlete will cover more ground with a lesser transition time. In volleyball, the more powerful athlete will more often be in position to make the play. The more powerful attacker will approach faster, jump higher and be in better position to spike. Standing vertical jumps, Single leg vertical jumps, tuck jumps, and depth jumps are great exercises for improving volleyball jumping power. A quick powerful setter will get to the right spot to jump set for a tight pass. 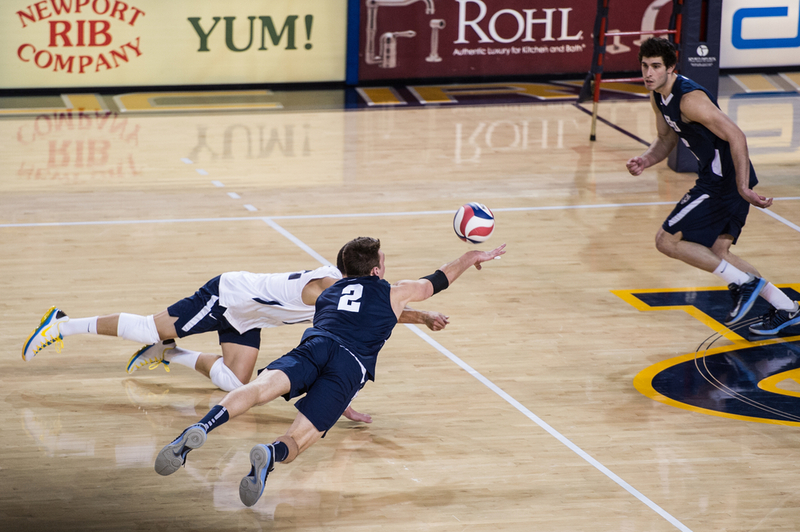 An explosive libero will have a quicker first step and be in better position to make the dig. So you can see, quickness is the end result of a bunch of athletic qualities working together in a coordinated fashion. We train reaction speed, strength, stability, mobility, and power and increased quickness is the end result.